Rev. E. C. Lloyd (right), missionary-teacher of the American Episcopal Church, pitcher; captain for 1911. 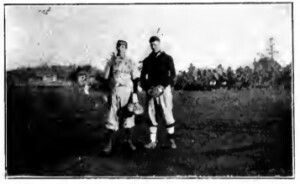 H. Grant Ivins (left), of Salt Lake City, catcher; elected captain for 1912. So far I haven’t hears of any Mormons playing in Japanese baseball, at least not on a professional or serious amateur level. And before I came across the article below, I wasn’t even aware that the Japanese had begun to play baseball as early as they had. It turns out that baseball in Japan dates to the late 1860s or early 1870s. And the Mormon presence in Japanese games dates , according to this, to 1912. 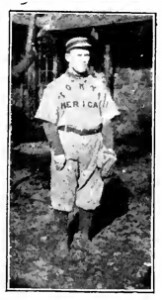 By 1896 the Yokohama Country and Athletic Club had an established team, which sometimes played “international” games against teams from visiting U.S. ships. Waseda University’s team started a long-standing rivalry with the team from Keio University and in 1905 Waseda’s team toured the U.S. while the Keio team invited the Hawaiian St. Louis team to play in Japan in 1907 and charged admission to the game for the first time. A national High School baseball championship began in 1915 and professional play began with a six-team league in 1925. Meanwhile, the LDS Church opened a mission in Japan in 1901, led by later Church President Heber J. Grant. A translation of the Book of Mormon was completed in 1909. But the mission saw little success and was closed in 1924. “The picture of Rev. Lloyd and Grant Ivins was taken on the Waseda University grounds just before a game with a team from that school. It will be remembered that it was a Waseda University team that was in America last year, and which defeated a team from the Utah State University, at Salt Lake City, last spring. “The Tokyo American-Waseda’ game, the day this picture was taken, resulted in a tie — 5 to 5. “Waseda is one of the world’s big schools; it has in all its departments nearly 10,000 students registered. “The Japanese are ideal sports, and are skilful, and, win or lose, it is a pleasure to play with them. “During the last spring and fall the Tokyo-American Team played eighteen games, winning nine, losing eight, and tying one. “The team is an ‘All-American Team,’ not because of its skilful players, but because its members come from, all over the United States. To illustrate this, the following schools have been represented in the line-up: University of Chicago, Oberlin, William and Mary, Berea, Michigan, Cornell, Bellevue, West Point, Hope College, University of Toronto, Utah Agricultural College, Brigham Young University of Provo, Latter-day Saints’ University, and the University of Utah. “The team is also interesting from another standpoint. For instance, in a late line-up, there were a Baptist, an Episcopalian, a Presbyterian, a Quaker, a Methodist, and a “Mormon” missionary; a United States army officer, an attache of the American embassy, a secretary of the American embassy, and an American electrical engineer. All are the best of fellows. 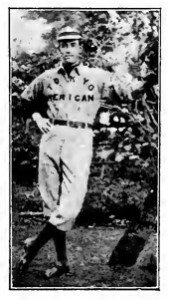 “Lester Chipman of American Fork, whose picture is not here, also played once on the team while he was in Tokyo for conference. 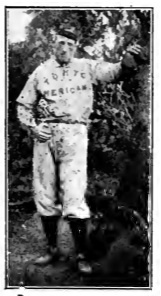 Heber City, Utah, outfielder and first base. When he played on the team he was mission secretary. He is now presiding in the Osaka field. I haven’t researched what happened to these baseball players/missionaries after their missionary service. But since the name sounded familiar, I did take a look at the service of Elder Jay C. Jensen. In the summer of 1941 he was called to preside over the Japanese mission, headquartered in Honolulu, Hawaii since it had been reopened in 1936. He must have arrived in Hawaii by August, according to the Improvement Era report, and therefore would have been the mission president there on December 7th of that year. While, as I understand it, the participation of LDS missionaries on the Tokyo-American Baseball Team predates the later problem of “baseball baptisms,” I at first wondered why the mission president would allow such formal participation in an organized sports team. At least it is different from what mission presidents do today. Then I also noticed that President Thomas is one of the players pictured! I worked for Heber Grant Ivins, Jr. For a couple of years in the mid-1980s. When work was slow, I typed up HGI,sr’s missionary journal — not the one he kept while in Japan, but the way he rewrote it years later, after he had become somewhat hostile to Mormonism. There was quite a bit about baseball in that, how they payed with kids and adults, and some league play. The University of Utah has some version of HGI’S,sr’s diary, if you ever want to pursue this theme. Thanks for the tip, Ardis. I’ll have to take a look at it when I get a chance some time. The intersection of Mormons and baseball has become an enduring interest of mine, so it would be nice to see how HGI Sr. saw baseball as a Mormon. men while he was in Japan as a missionary. His brother’s sister may be located in Kaysville, Utah according to my sister. It is R.H. Barton’s brother’s daughter that is located in Kaysville, Utah. Pictures of the whole japan team were donated to the church history dept. Robert barton is my grandfather. He was in japan 1909 thru 1912. You can access those pictures thru the church history dept online with robert barton name. Robert barton became the postmaster in layton utah and help many japanese people with translation. He wrote and talked japanese well. He had a photographic mind.